Graham Covington has been playing and teaching jazz piano in the Pacific Northwest for over 40 years. He has studied with jazz luminaries such as Mark Levine, Gene Confer, Richie Beirach, and Eddie Weid. He studied music theory in New York City at The Juilliard School of Music in 1970. 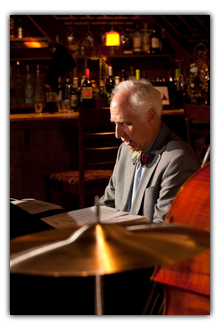 His trio, After Six, is located in Portland and plays regularly at both public and private venues. The After Six CD, “It Don’t Mean a Thing…,” was recently recorded in Hillsborough, California with Dennis Caiazza on bass.